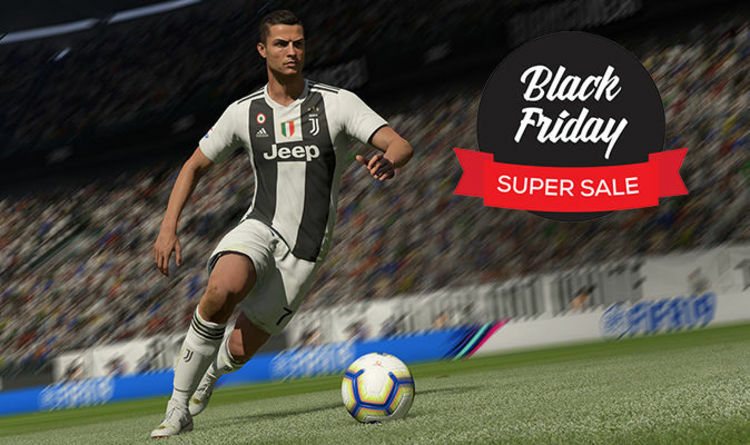 Black Friday 2018 deals are available for FIFA 19 on PS4 and Xbox One. Football fans can pick up cheap copies of FIFA 19 from the likes of Argos, GAME and even the PlayStation Store. UK retailer GAME is currently selling FIFA 19 for £39.99 on PS4 and the same price on Xbox One. GAME offers free next-day delivery on orders, as well as reward points that can be used against future purchases. FIFA 19 is even cheaper at Argos, which has the game for £38.99 on PS4 and the same price on Xbox One. Argos even offers same day delivery, or you can buy now and collect in store. Alternatively, you can pick up FIFA 19 for just £34.19 on the PlayStation Store. Sony has revealed its PS4 Black Friday 2018 sale, which runs from now until November 26 on games, and until December 2 on PlayStation VR bundles. Live on PSN, PlayStation 4 owners can grab Marvel's Spider-Man for £34.99, God of War for £24.99 and Horizon Zero Dawn for £24.99. Third-party games like Black Ops 4 cost £41.99, while Assassin's Creed Odyssey is £34.99. But some of the best discounts can be had on PlayStation VR bundles. While retail prices may vary, Sony is offering a PlayStation VR Starter Pack with the incredible Astro Bot for just £179.99. The PSVR Starter Pack comes with the headset, a PlayStation Camera and a download code for PlayStation VR Worlds. A selection of PS4 game discounts can be found below. Visit the PlayStation Store to purchase the games.